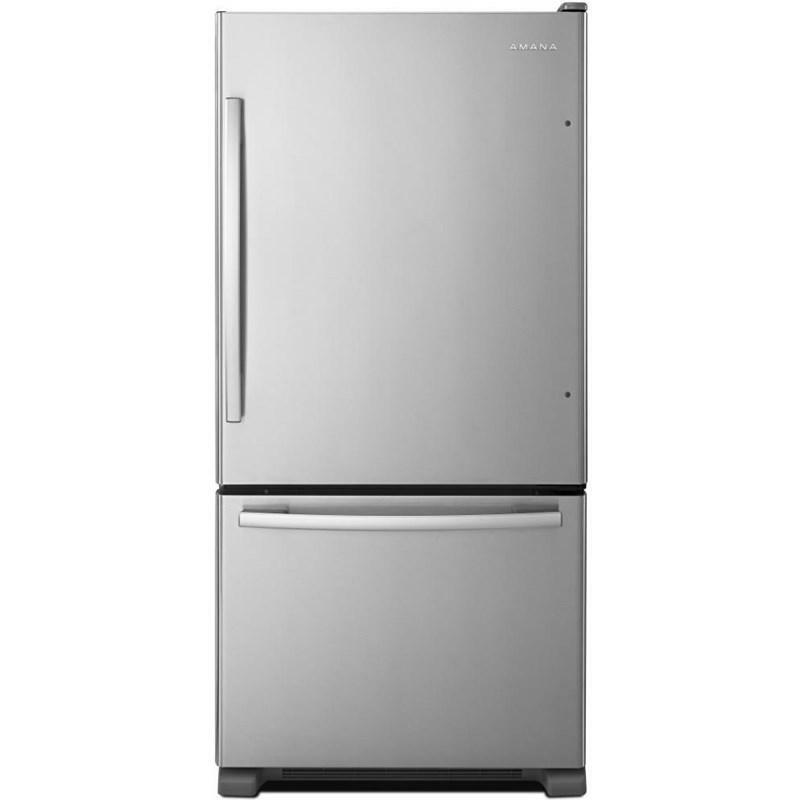 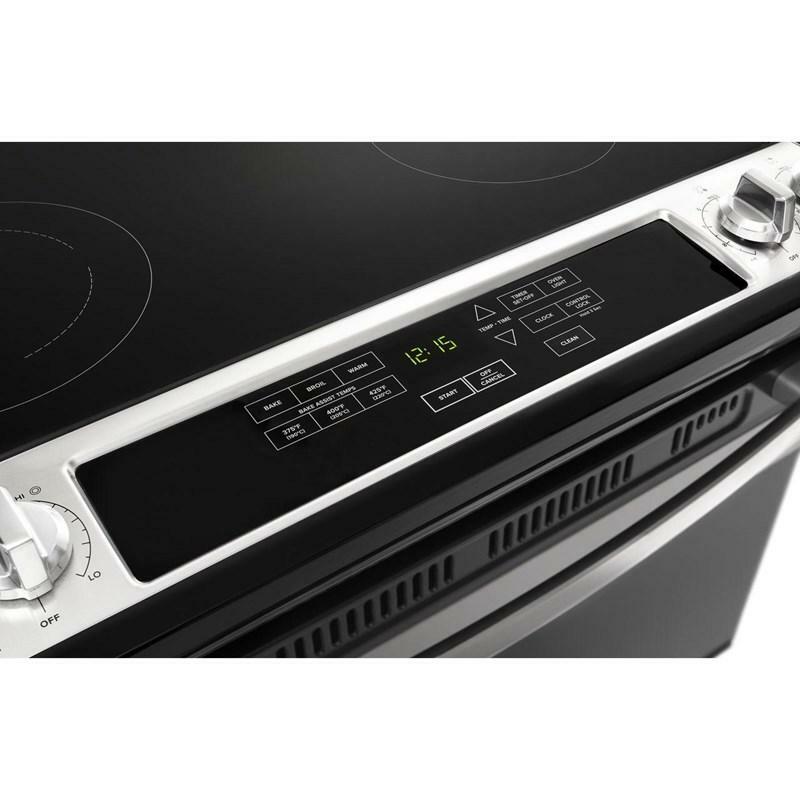 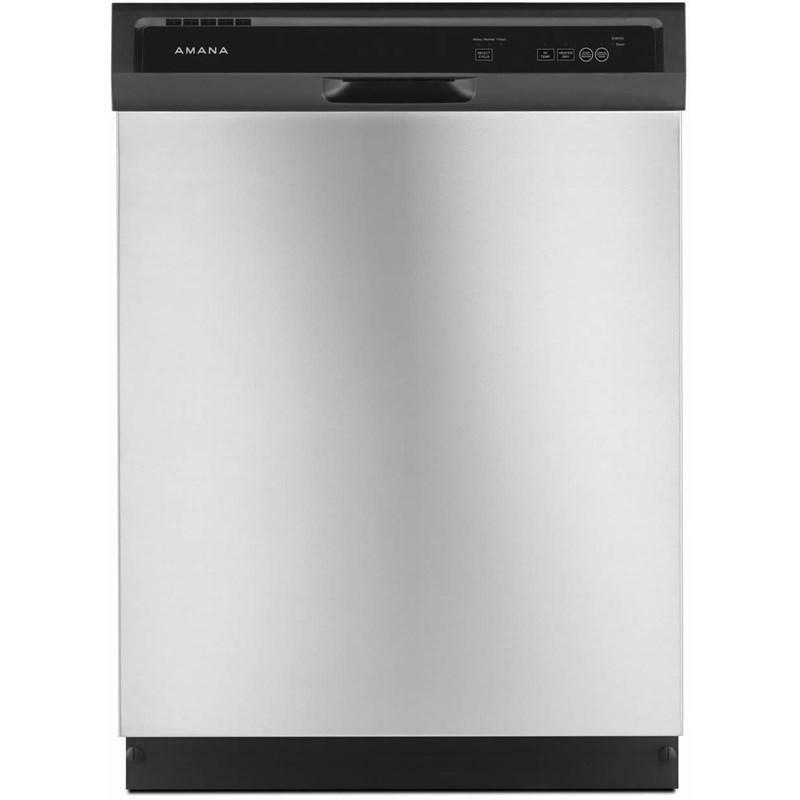 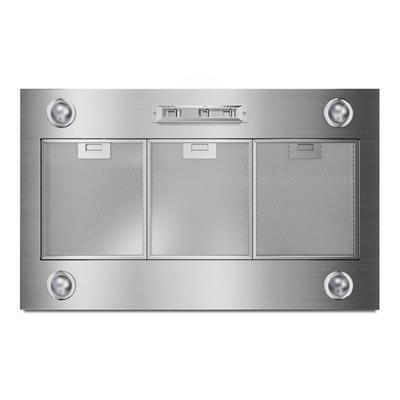 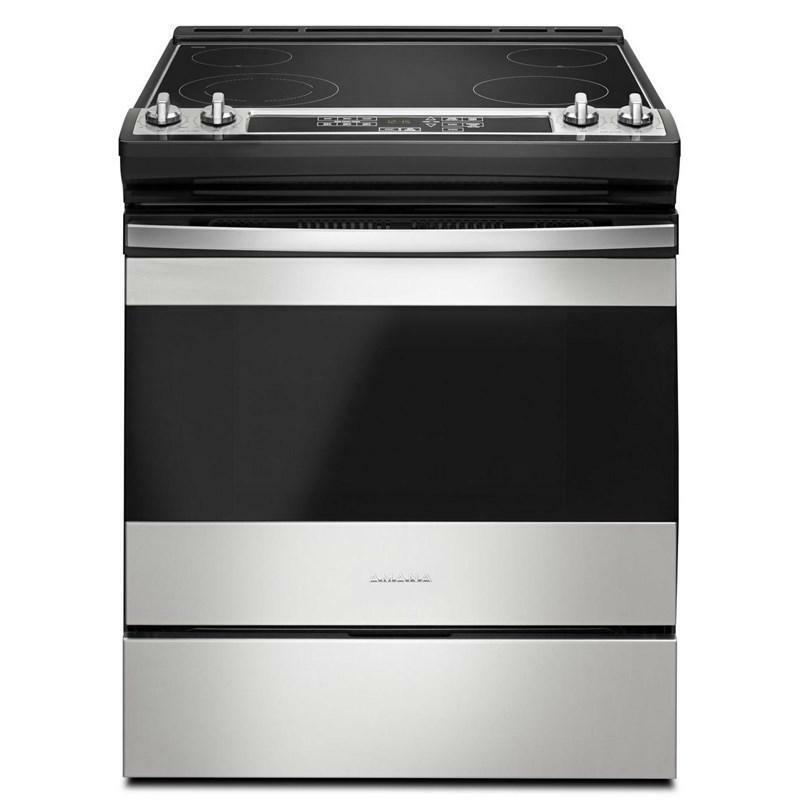 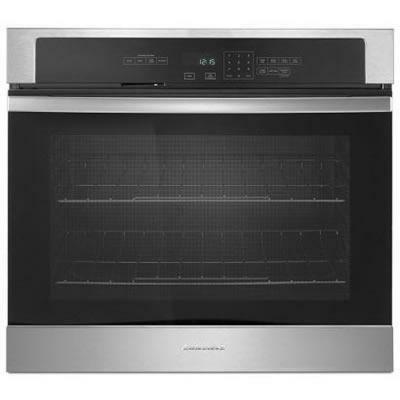 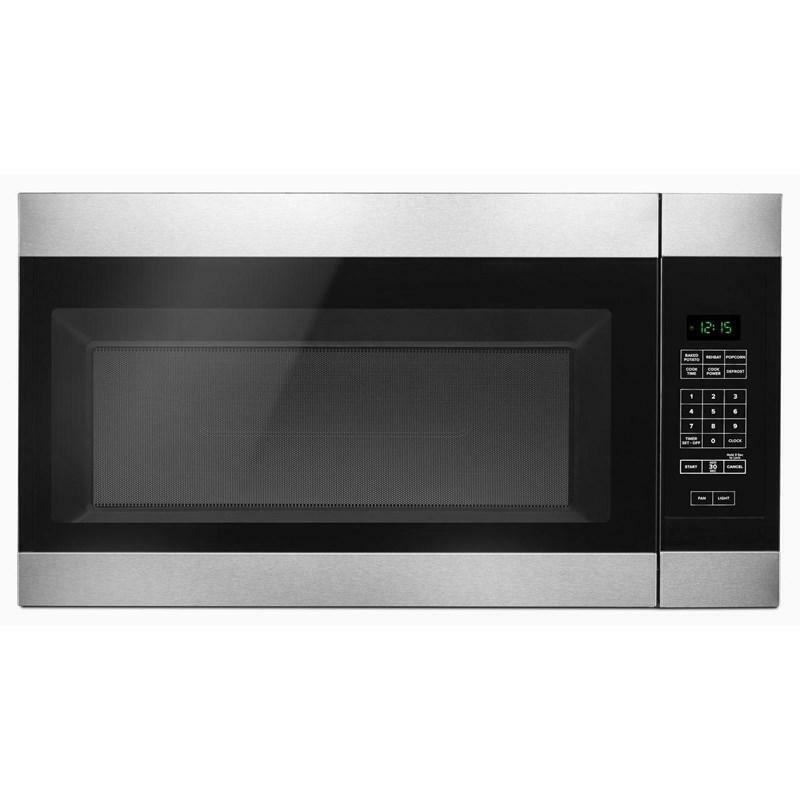 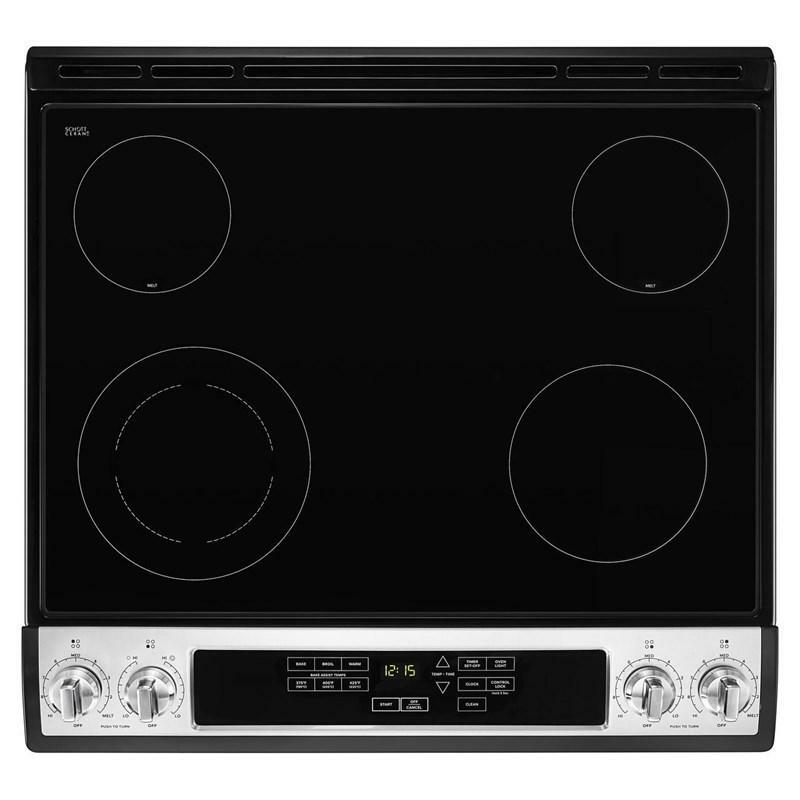 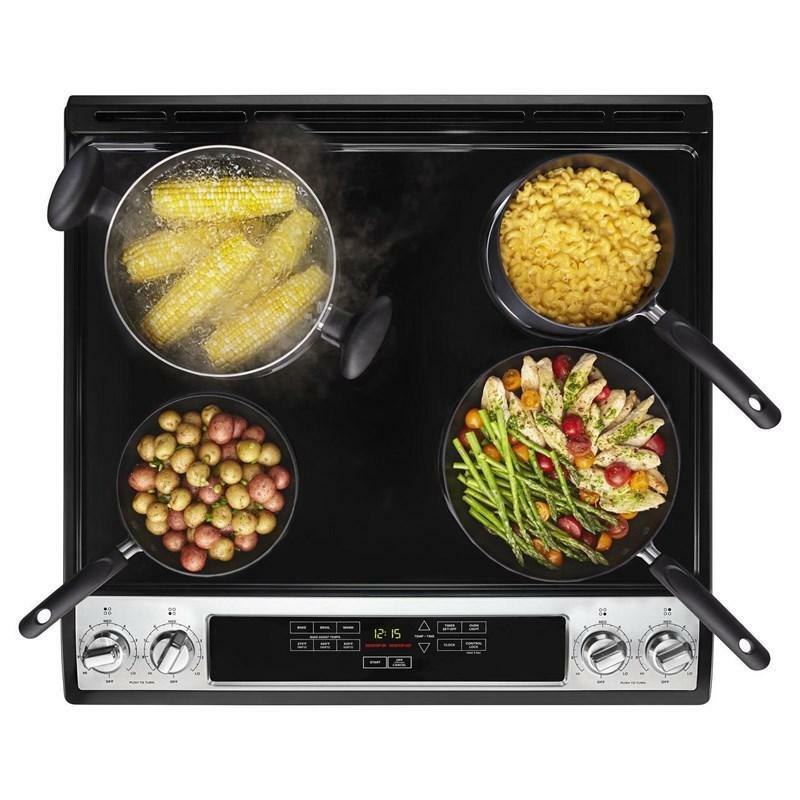 This 30-inch Amana® Electric Range features elements with up to 3,000 watts and comes with a Front Console, which puts all the extra-large, easy-to-read controls right within reach. 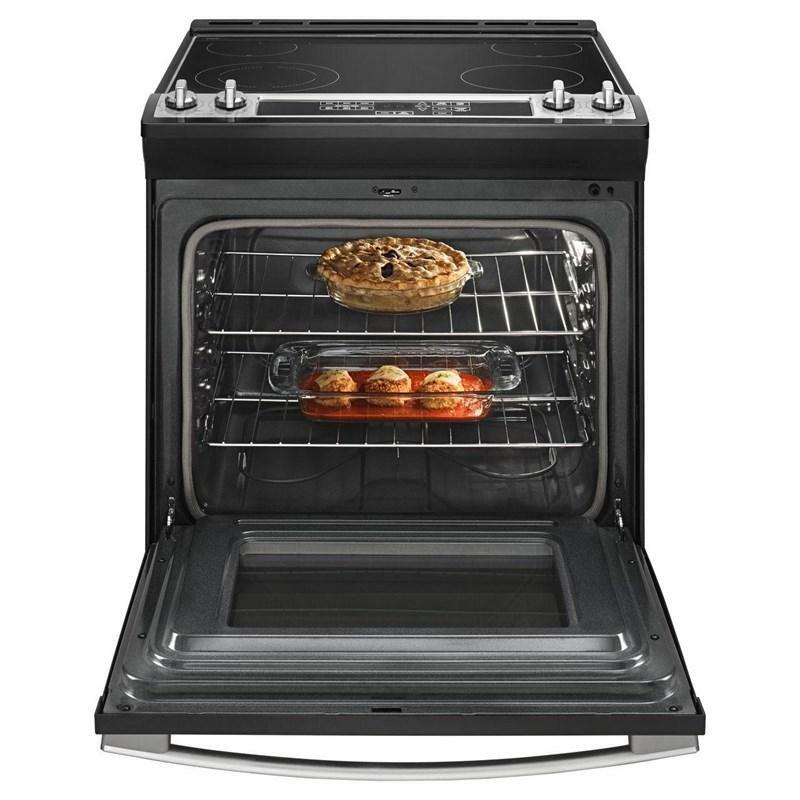 Then get started on dinner with Bake Assist Temps that let you pick a preset temperature setting for extra convenience. 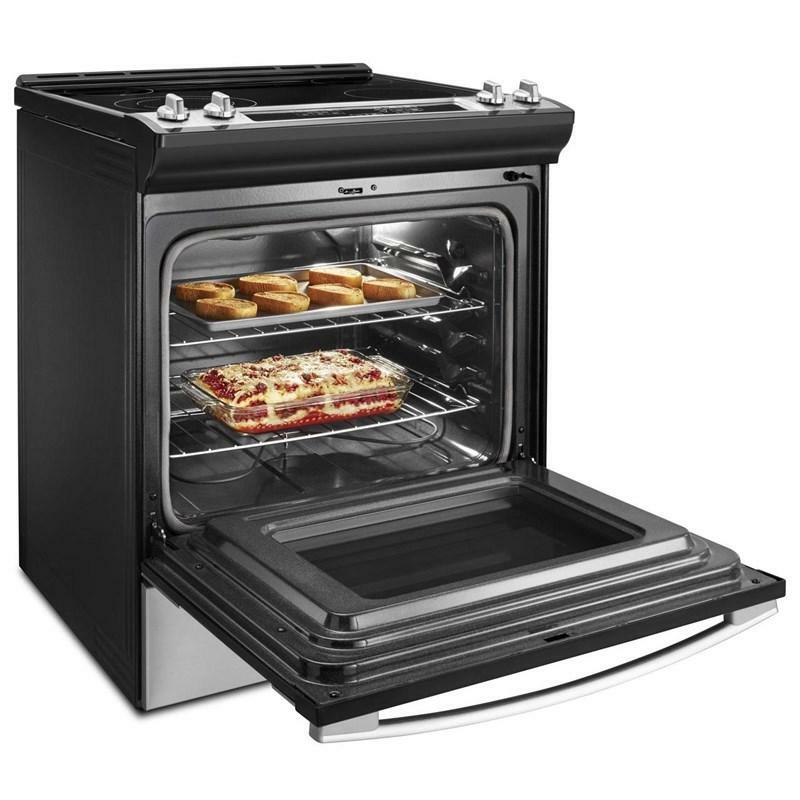 And, when you need to check on dinner, the Extra-Large Oven Window gives you a full view without letting out the heat. 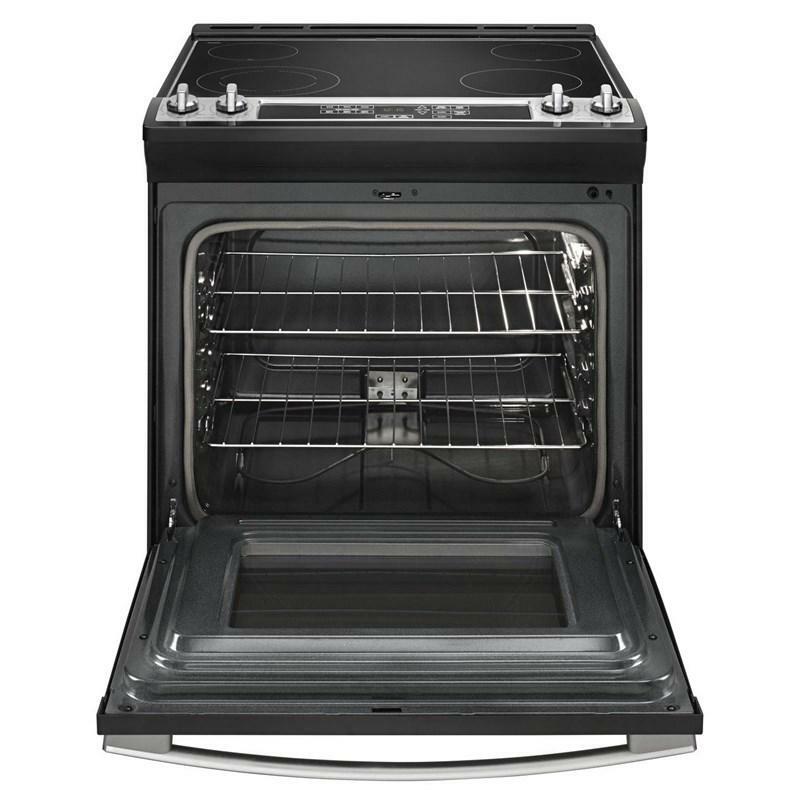 When dinner's done, use the Self Clean Option to take care of the cleanup. 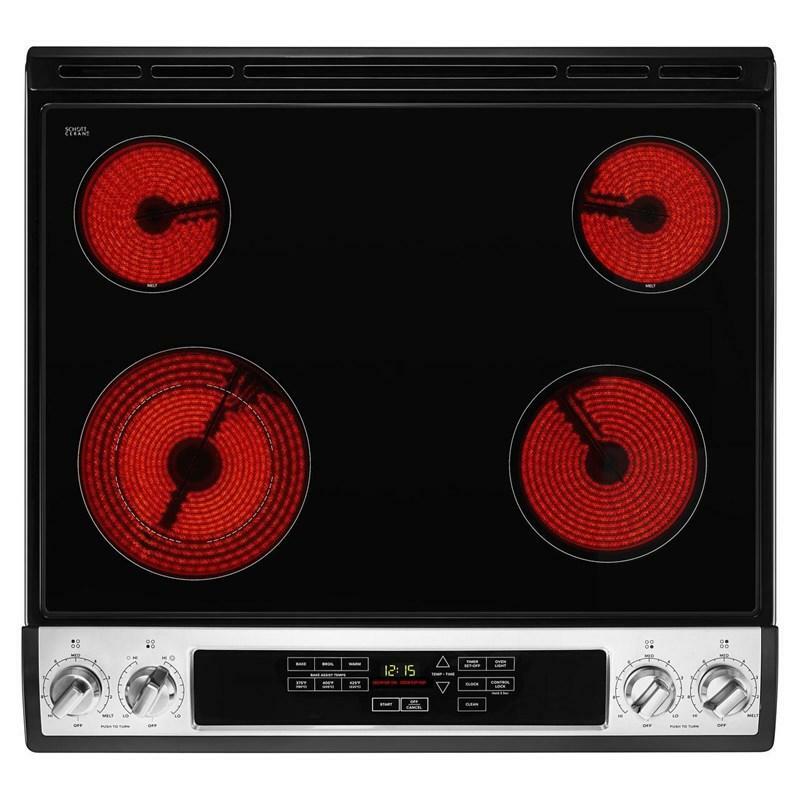 Burner/Element Size • Left Front Element Size: 9"/6"
• Left Rear Element: 6"
• Right Front Element: 6"
• Right Rear Element Size: 8"